I like to celebrate the Fourth of July with a few mellow poppers, smoke bombs, and sparklers. It gives my kids the chance to get in on the action of the fireworks without any of the danger. I made these Dip Dyed bags to hold the goodies we’ll be giving to my sons and their friends. It’s a really easy way to make the day feel festive. Happy 4th! 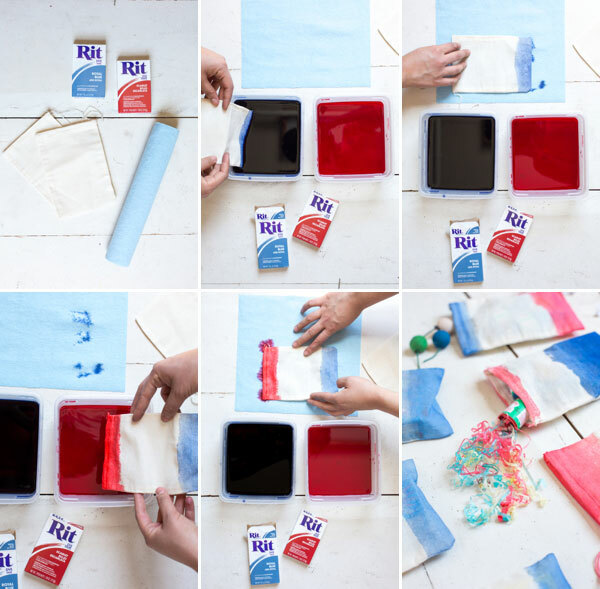 Step 1: Follow instructions included in the fabric dye pouches to create dye solution. Step 2: Slowly immerse one end of the muslin bag into the dye. Step 3: Let the bag soak for a minimum of 10 seconds. To get more of an ombre effect, gently lift and lower the muslin bag to create lighter and darker shades. Step 4: Let bag dry on paper towels before introducing another color. Step 5: Repeat steps with other end. Step 6: Once bag is dry, fill with awesome children-safe fireworks! LOVE these! 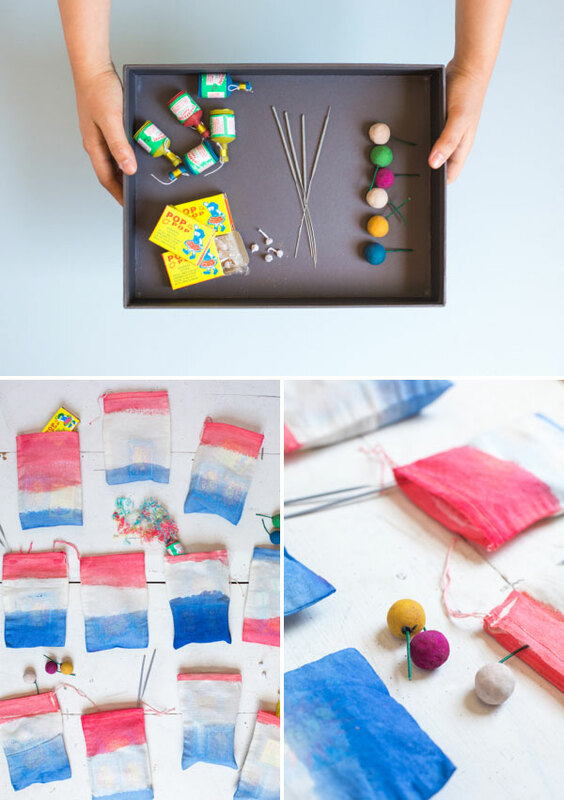 Such a sweet, simple idea and great favor for a 4th of July party! Loving all these cute summer party ideas. Kids would love this! Love these! This is a great idea for kids! SO fun! These would be perfect for any occasion…I definitely want to make some now! These are so cute and such a simple idea!! Love these! We are hosting a Bastille Day party and these would be perfect! I can’t wait to make them (I may even be brave and include my 3-year-old in the process). Fun and festive! I think I might make these for my nieces. I love these! 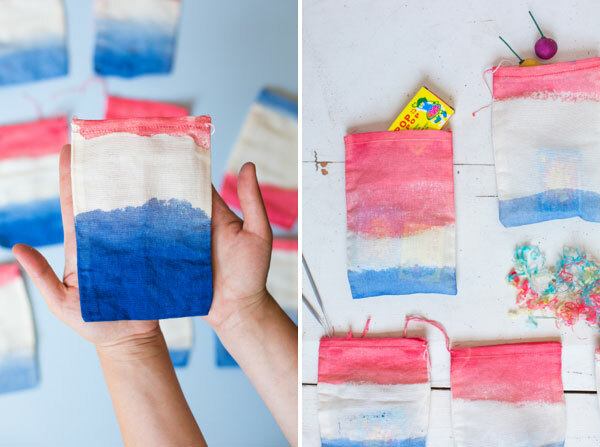 I am not usually a fan of tie-dyed things, but this super cute way you did it makes me reconsider! I can’t wait to try this! Thank you! Cute idea! I love how your DIYs are so doable and very easy to make! If I lived in the States and celebrated 4th of July, I would totally do this. Great job!!!! These are so fun! I am sure your kids will love them! Ha! What a small world! I guess sisters tend to think alike. Love this idea! So cute and perfect for party favors! really cute and fun idea! 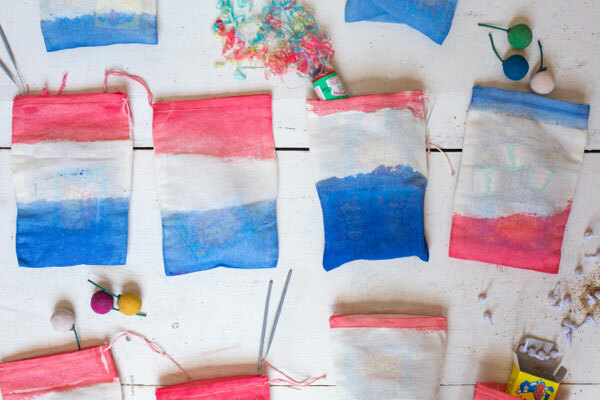 These make me want to change my plans and throw a fourth of july party! Too sweet! Wow, such a great project. this diy is so cute and so easy to do!!! So clever! Had I seen these before the 4th of July, I would have made these for my grandchildren! Rest assured, next year they will be surprised!